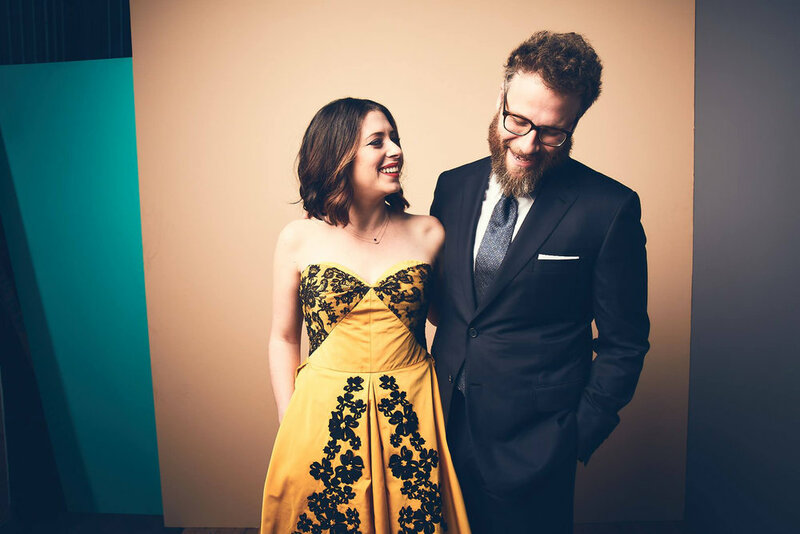 Lauren Miller Rogen and Seth Rogen founded Hilarity for Charity in 2012. Photo courtesy Hilarity for Charity and Getty Events. Lauren Miller Rogen, an actor, screenwriter and director, started Hilarity for Charity (HFC) with her husband (actor, writer, producer, and director), Seth Rogen, in 2012. The charity seeks to be “a resource for the millennial generation, to help bridge the gap in understanding the landscape of Alzheimer’s disease,” which speaks directly to Rogen’s own experiences. Her mother was diagnosed with Alzheimer’s when Rogen was 25. She also lost both her grandparents to the disease before her 19th birthday, and, like many young people in her situation, adjusting to life as her mother’s disease progressed was painful and difficult. Rogen tried to go to a support group, but the participants were all much older than her at the time, making it hard to connect and find common ground. Hilarity for Charity is currently streaming on Netflix. Photo courtesy Hilarity for Charity and Getty Events. “Their situations are devastating as well, but I just couldn’t relate,” she says. Rogen and her husband planned their first HFC variety show fundraiser in 2012, a star-studded night that featured the talents of Bruno Mars, Paul Rudd and many more. The organization quickly evolved to become a global resource for young people wanting to join the fight against Alzheimer’s disease — which wasn’t a specific goal at the outset, Rogen says. HFC has raised more than $10 million (USD) through its many programs including its annual variety show (the most recent version is currently streaming on Netflix starring comics such as Michelle Wolf and Tiffany Hadish). HFC’s initiatives include a home care grant program that offers respite for care partners, offered in partnership with Home Instead Senior Care, as well as university fundraising platforms and online support groups for young people. Rogen says young people are breaking down the stigma surrounding Alzheimer’s and dementia by sharing their stories, and she is grateful HFC can help create better understanding and outcomes for millennials and their families. To learn more about Hilarity for Charity, visit hilarityforcharity.org.